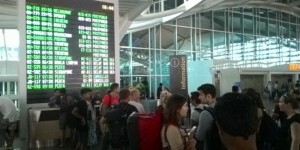 For the third day in a row, flights have been cancelled going to and from Bali. On July 9, Garuda tweeted that the airports in Bali, Lombok, Jember, and Banyuwangi were being closed due to ash. Mount Ruang has been erupting for several days now. The volcano is near Banyuwangi, East Java. 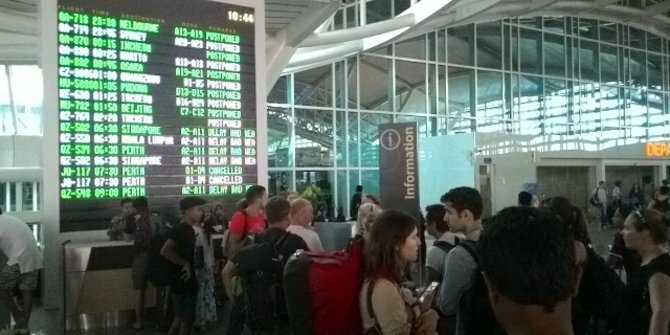 People traveling from western Indonesia have still been able to go to Bali, but the many Australians in Bali are stranded. This is because the route they take is different, and the ash is in their route. Jetstar and Virgin, two major airlines with flights between Bali and Australia, have been keeping a close eye on conditions. Both airlines have stated that once conditions improve, there will be extra flights to accommodate the number of people waiting to leave. Update: The Surabaya airport is now having to cancel flights, causing even more chaos than normal during Idul Fitri, the biggest holiday of the year in Indonesia. Pray that the volcano will stop erupting soon. Pray for believers in Bali to know how to reach out to those who are stranded there.